I had the great pleasure of interviewing leading educator, James Novak to learn more about his 3dprinted bike he designed. James is a lecturer at Griffith University in Queensland, Australia and has gained world wide recognition for his bicycle he developed. The great thing about this designs is it shows how far 3dprinting can be pushed with a creative mind. To read the blog please click here. Learn how to low poly model with these easy steps. Ever wondered how to create amazing low poly models? The answer is simple, you can easily create low poly designs using Autodesk meshmixer. I have written a tutorial on how to do it and posted it here.This is a great hack for altering models quickly and requires almost no CAD modelling experience. 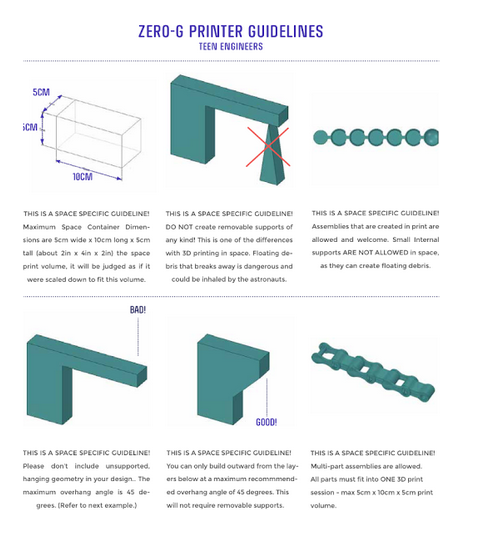 Want to learn how 3d printing works in space? 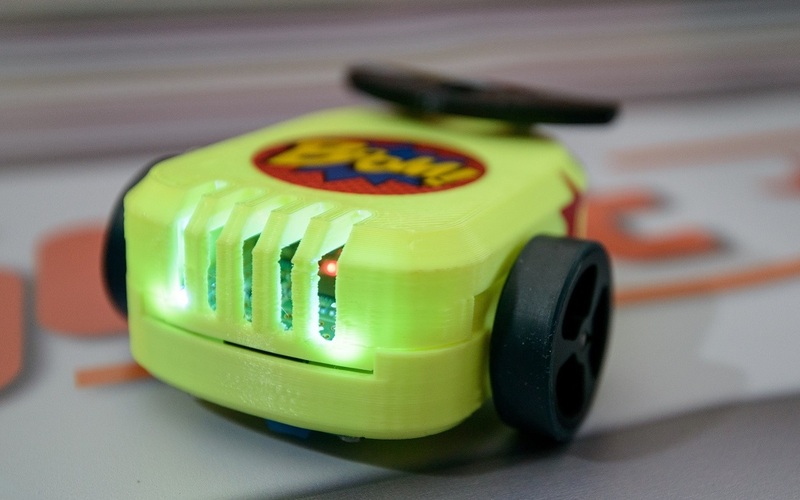 3d print your own open source toy robot by Cannybots. Ever needed an unbiased view of a 3dprinter? Want to steer clear from the mainstream brands and try an alternative? I often look at different printers that come onto the market and I have tested many smaller branded printers. The outcomes and results from going with a relatively unknown can sometimes be more reliable then the market leaders. There has to be life beyond makerbot right? This philosophy is exactly what Preet Jesrani, CEO of Designbox3D is adopting. Preet is a champion of the startup and is supporting the many smaller brands that do not have the marketing power of the main corporate giants. Innovation happens from the ground up and without the exposure of new and emerging brands then the advancement of 3dprinting will ultimately slow. From a personal view point, the reliability and print quality some of the smaller emerging brands can exceed and surpass the ‘big boys’. I have put a flashforge creator through its paces in the classroom and the reliability and print quality is second to none. I know when I want to print it will work. The same with the Beethefirst 3dprinter. Preet explained how he became involved in 3dprinting through his past experience in state and federal government and he believes that 3dprinting can become a potential ‘job creation engine’. He started DesignBox3D because of this he makes the point that ‘additive manufacturing will drive innovation and re-invention in manufacturing for generations to come’. 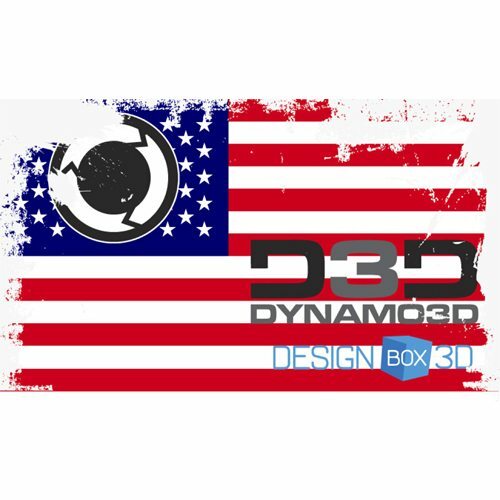 With 3dprinting on a seemingly never ending growth path, Preet and DesignBox3D are contributing to this with exciting partnerships such as the recently announced Dynamo3D printer. After viewing the videos of this printer on youtube, it is mind blowing how fast this machine can prototype a part. Four minutes to 3dprint a bracelet! This is what 3dprinting needs to keep the consumer 3dprinting market progressing. 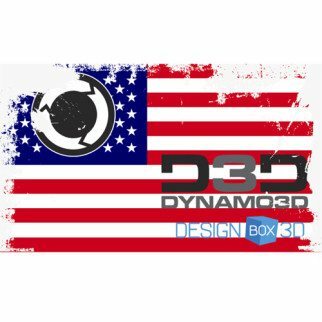 Preet states, ‘Our partnership with Dynamo3D, to bring high speed, multi-material, precision 3D printing in the form of a professional desktop 3D printer is one that we are extremely excited about. I believe that we will soon upset the “market-leader” apple cart with this. We all know after all that time is money – and this printer will “slice” the time component dramatically, saving you money in the process.’ The apple cart certainly does needs a shake now and again otherwise innovation will slow and costs will increase. Competition is what will keep consumer 3dprinting advancing. (Click the US flag logo to view the video). Preets’ views on the direction of 3dprinting lie with education and schools and pushing the ‘design’ aspect of 3dprinting. Realistically, without the investment of our students, the future design engineer generation will struggle to materialise and advancement long term will slow. Being an educator of 3dprinting myself, I can totally relate myself with his vision. Want to start 3dprinting but not sure where to begin? First place for many is thingiverse for a free download, however what about when you want to design something yourself? There’s only one real option, spend hours learning a CAD package and try to attempt your design. 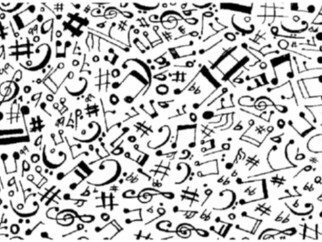 Keep it simple and you might succeed, but anything more complex than a book mark and it could take up hours of your time. Imagine having a Ferrari and needing someone else drive it for you? This would get frustrating after a while. One of my first blogs was about project shapeshifter by Autodesk. This allowed anyone with no design experience to create complex designs in seconds ready for 3dprinting. Then there was Makersempire 3dprinting modelling app for tablets aimed at younger children allowing models to be created by finger commands. Now one of thingiverses’ top designers Mark Durbin has developed a programme called 3dp.rocks/lithothane. The aim of the programme is to easily create 3dprintable models that are high quality and image based. Got a favourite holiday snap or a precious memory? Then you can immortalise it in 3dprint with this great programme in seconds. The creator Mark Durbin explained how he first found out about 3dprinting after watching tomorrows world (BBC) in 1994 and later on in 2010 he bought a makerbot first generation ‘thingomatic’ after seeing Bre Petis on the cover of Make magazine. Mark actually purchased the 44th thingomatic ever made. A true founding father of 3dprinting! He explained the inspiration behind 3drocks/lithothane was to ‘help with the process of converting two dimensional images into three dimensional shapes for 3dprinting’. In line with the open source community that helped grow 3dprinting, Mark said he wanted to ‘make the tools as accessible as possible and make the source code available for modification by others’. After asking Mark his views on the direction of 3dprinting he explained, ‘I think it’s stalled a bit, the RepRap movement has had and still has lots of ideas, but there doesn’t appear to be any real weight behind it. Lots of small (and some large) companies are coming in to try and claim some of the ideas as their own and protect them commercially, which has tended to close down some of the collaboration and openness that I’ve seen in the past. That’s not to say that it’s stopped, but it seems that every company that can claim “3D printing” is in some way associated with their product jumps on the band waggon which tends to ‘cheapen’ the general concept. There are still lots of ‘good guys’ out there who acknowledge the open source roots of their business and try to keep their commercial activities from damaging that. I’m not against commercial activity in this space, I’m all for it, but a lot of it tends to be profit focussed and therefore aimed at the people with deeper pockets. I still think cheap/reliable home/school 3D printers are a great way to allow developing minds to express their ideas in an accessible way that plays to the ‘I want it now’ philosophy that seems to prevail’. As an educator of 3dprinting this is totally in line with the reality. In the classroom one of the main stumbling blocks to the adoption of this by high school students is cost. Many can’t afford the $1000 – $2000 for the main branded machines and taking a risk on a cheaper unknown relatively new manufacturer is one that many parents of these students can’t do. Also the ‘I want it now’ philosophy resonates with high school students in most aspects of their digital dominated lives. With such a great programme available for free and with such ease of use 3drocks/lithothane has great potential to help grow 3dprinting and allow easy access for users to create unique designs personalised to themselves. Mark said he has many ideas planned that can ‘extend’ on this and they will allow users ‘to be creative without a huge investment in learning’. Sounds like a great plan and one I will follow carefully. The images shown are some examples of the designs created from 3drock/lithothane. 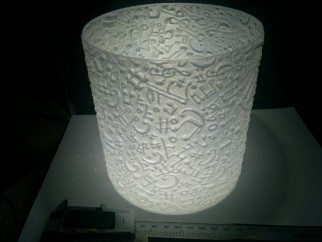 The sketch above is an image drawn by Mark’s daughter that he then turned into a 3dprinted light feature using the programme. To check out 3drocks/lithothane click the link below and start creating! Thanks for this great programme Mark! I first saw this printer at the 2013 3dprintshow in London and it caught my eye immediately. This was different from other printers. This actually had good design as the core feature. Many times when looking at 3dprinters you see a strange attempt at a cross between a microwave and some space age structure. But in this case you simply see good design. All printers essentially do the same thing, print objects, but many neglect the product design aspect as this is usually an after thought, and in my opinion is a contributing factor to why the mainstream consumer are not yet embracing the technology. Many 3dprinters you just would not contemplate them in your homes. Some are even an eye sore. 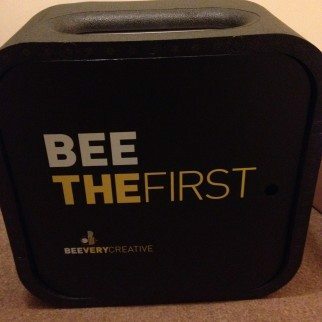 The beethefirst printer is different. Design is what sets it apart, this printer looks like it is right out of Apple’s design studio. Jonny Ive once said his aim was to ‘Design out the design’. The design has to be so good that it blends seamlessly with the user and is almost an afterthought. Here we have a 3dprinter that fits this ethos. It looks stunning and is timeless in its appearance. This printer has won many awards including best ‘Prosumer printer’ and best ‘consumer printer’ at the 3dprintshow 2014 and is gaining a reputation as one of the top players in the industry by being awarded the ‘Rookie of the year’ in Make Magazine. There’s a reason for this as well. This printer is by far the most user friendly 3dprinter that I have used and also the most consistent and reliable. From opening the box to 3dprinting the first part was 20 minutes. The user flow of setting this up, calibrating, loading the filament and printing the first part was flawless. A major issue with printers is the calibration of the bed, in this case it was as easy as clicking a mouse button. Everything about this printer has been designed with the user as the focus. Even down to the packaging of the product. When you open the box you are met with a message from beethefirst and the excitement of the unboxing process is like being a child at Christmas again. Every step of the experience brings happiness. I met with Diogo Quental at the 3dprintshow and the whole team have to be the most friendly bunch of people I have met in 3dprinting. At their stand was free hugs and ‘beescuits’, what more can you ask for! Friendliness and trust goes along way in the world of business. Diogo outlined some of the plans for the future of Beethefirst that includes expansion into the education market with a partnership with Nautilus and also myself as a Beta tester of their printer. I have put this printer through its paces for the past few weeks and it has delivered exceptional results. There used to be a time with 3dprinting when it was hit or miss if a print would be successful. Since printing on the Beethefirst I have not had one print failure and I have printed over 200 parts without needing to calibrate the bed. As an educator myself, the area of 3dprinting in schools is still an uptapped market with no one clear printer taking the lead. The reason for this I believe is reliability and usability. I think Beethefirst could be a contender to lead in this market. 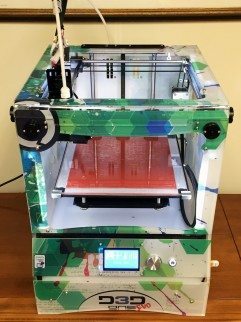 Teachers and students need a 3dprinter that will work time and time again and not have to worry about if a print will be successful. Then there is the fact that this printer is a great case study for good design. When I teach Design and Technology/Product Design lessons, the design of a product is just as important as the functionality side of it. I inform the students that if a product doesn’t look good then it probably won’t sell. If users aren’t attracted to it then the likelihood is it won’t succeed. This looks good and you would be proud to have it on your desk. With more models planned for the future the direction of Beethefirst is extremely exciting and is one to watch closely. At the 2013 3dprintshow they had one small desk with a 3dprinter exhibiting. 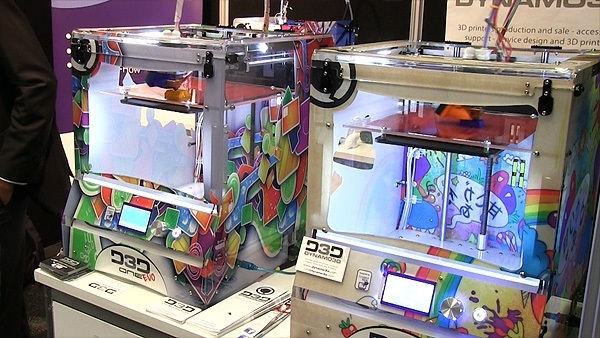 At the 2014 3dprintshow they dominated the show floor with the biggest stand. What will 2015 bring? The ‘Google’ of 3dprinting files? When we search for a website we usually head for Google, but where do you go when you want to search for a STL file for 3dprinting? With model repositories growing in number every day, actually finding what you want can be a hard task and you might even have to search many different sites before get to discover the model you want. 3Dshap.es aims to solve this and become the number one platform on the internet for searching 3dprinting files. 3Dshap.es is different in that the site indexes the actual file and not the ‘tags’ of a model listing, meaning that you are far more likely to find what you need as the search is based upon the shape of the file. Currently 3Dshap.es have indexed files from all the major file repositories, including the 3dfilemarket.com, thingiverse, youimage and shapeways. With 3Dshap.es announced as a partner for the Autodesk spark platform, there are exciting times to come for the future of 3dprinting files. We caught up with the CEO Seena Rejal for a quick interview about the aims of the 3Dshap.es and where they anticipate the future of 3dprinting will be in the next decade. Seena Rejal has a decorated career in manufacturing having gained a PhD in manufacturing from the University of Cambridge. He then spent time working with the founder and CEO of MFG.com in the US as well as working for the Clinton Foundation. He started 3D Industries in 2012 and is set to become a major player in searching 3D content. What is the ultimate aim of 3dshap.es? 3Dshap.es wants to index every 3D model on the web. It wants to be the place you go to to find any shape and form. The way you query the physical world around you through its shape. It wants to create a transparent and fully searchable 3D online universe, where everyone is able to share, but also protect and attribute their work. With the new partnership with Autodesk how will this enhance your end goals? As a global leader in 3D software, Autodesk is a formidable player in the emerging 3D printing landscape. 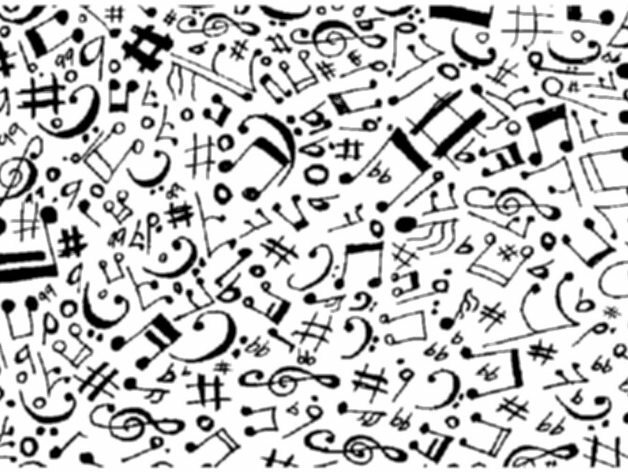 Its entry into the space offers exciting opportunities to shape the developing field. Having such an organisation as a partner will help us set the foundations and standards for the open and transparent 3D universe we envisage. Their followers, users and ecosystem partners will accelerate and boost the rate at which we can order the web’s available 3D content. Do you see the mass consumer adopting 3dprinting similar to inkjet printers? Eventually, but not in the short to mid-term. A mix of technology developments and industry business models will bring about the price points and demand for such adoption. It has to have real utility and solve real pain in the home. This could be in the form of fabricating replacement components for every day white goods, or immediate fulfilment of particular domestic needs. It might also be for educational purposes. At that point, a printer per home will make sense. But we are certainly moving in that direction and it is a matter of time – we are waiting for that killer application and a killer pain being solved. Where do you think the 3dprinting industry will be in 5 years? I think we would have progressed distributed production at the level of the high street shop. Most stores will have a backroom 3D printer, with rapid 3D printing speeds and high quality output, that can pretty much fulfil most requirements for customisation of smaller devices / products, as well as immediate supply of replacement components. I think industrial use will also have developed extensively for high-value applications. 3D literacy will be widespread, with handheld devices such as smartphones, being 3D capable in terms of scanning and visualisation. If these predictions are correct then we are sure set for some exciting times in 3dprinting. For more information and to visit 3Dshap.es click the logo. We recently spent some time with Philip Cotton, winner of the 3D Printshow educational excellence award for two consecutive years, what follows is part one of a two part interview with Phil. 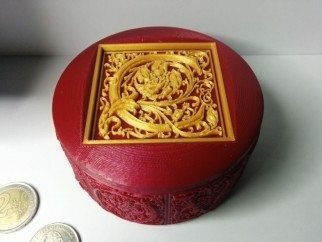 I first became interested in 3D printing after stumbling across it on the internet. I found the cubify website in its beta stages and decided to look further into the technology. After researching it in more detail I knew that this would be huge and would have massive potential in the classroom. Also on a personal level the technology interested me. The idea that I could manufacture iPhone cases and other everyday objects in my own home was immensely powerful and one that I wanted to experiment with. I pitched the idea of 3D printing to the head teacher and the school bought a 3D printer (about 4 years ago). I started to experiment with the printer and see what would be viable to design and print in lessons and then started integrating it into student projects. 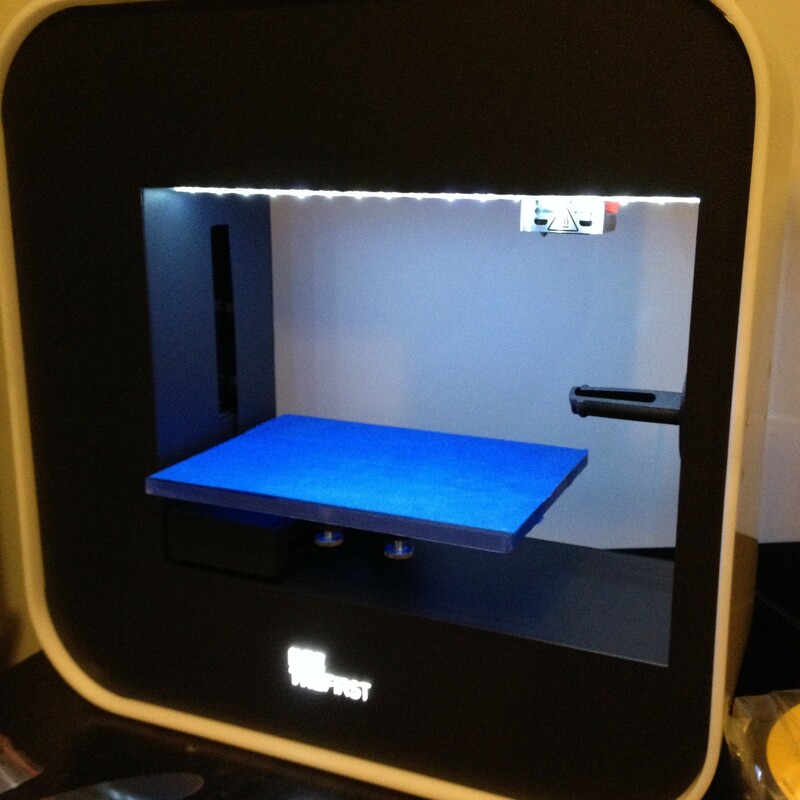 After the early stages success of 3D printing in lessons I decided to buy one for home so I could keep experimenting in school holidays and weekends. With a 3D printer at home and one in school I really started to see the benefits of this technology as every time you 3D print you embark upon a learning curve and it can become quite ‘addictive’. There is something quite satisfying about designing and making your own products in the comfort of your own house. What is the primary benefit of using the technology in Schools? The main benefit of using 3D printing in schools is the ability to make high quality products that previously you could not have made in schools. Also it keep students current with industry as the technology is still emerging and changes are rapidly occurring. This allows for rich learning opportunities every time the technology advances. When 3D printing students have to really engage in higher level thinking and it can really stretch students beyond their comfort zone. Designing on 3DCAD is not easy and is a real challenge that involves using Maths alongside design and ICT. Then throw into the equation the operating of the machines and materials knowledge and you have a true STEM (Science, Technology, Engineering and Maths) activity. With a shortage of engineers in the UK 3dprinting has the ability to help inspire students into engineering subjects and potentially future careers. If we educate students about 3dprinting then we are preparing them to gain employment in the fastest growing area of technology in the next decade. 3D printing will effect almost every area of manufacturing, design, medicine and engineering so the sooner we start integrating it into the curriculum the better. What is main challenge to exploiting 3D within education? There are a few challenges to really exploiting 3D printing in education. One of these is teachers having the knowledge and ability to actually teach 3dprinting to whole classes. From experience it is not the easiest thing to teach. The teacher needs to have an almost expert knowledge of the CAD packages they teach and this takes time to learn. One thing teachers don’t have is time…… Many teachers have also not had the background in CAD to be able to pass this onto students. However, there are many free courses available where teachers can learn about the basics of 3DCAD and then pass this onto students and with Autodesk making their software free to all teachers and students this will greatly help with this issue. Another challenge is the functionality and reliability of the machines. 3D printers get clogs and blockages that can be highly frustrating. The worst thing is seeing a large print that has taken hours to print fail in the final 10% due to filament clogging or the print warping of the bed. Part of 3D printing at the moment is having to strip the printers down to unblock extruders, sometimes this can take hours and a high level of technical ability to fix. Then there is the speed of the printers, this is improving but still has a long way to go. In my personal opinion I think we have hit a wall with how far we can go with FDM technology. With the patents expiring on SLS printing I expect within five years the prices of these printers will drastically reduce and they will be mainstream and eventually replace FDM. Then finally there is the cost of 3D printers. 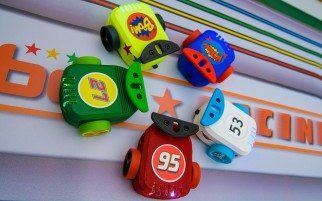 With the technology advancing so fast and newer models released on an annual basis by companies, it can be difficult for schools to spend potentially two thousand pounds on a machine that in a year will be replaced by a better model. I personally bought a solidoodle 2 one year ago and since then Solidoodle has released five new printers……. Today we continue our conversation with Phil, where he reveals amongst other things, who from within the 3D printing community he’d most like to invite for lunch! Phil, what are you proudest of and why? The main thing I am proudest about is to be recognised for my efforts in 3D printing by be awarded the 3D print show educational excellence award in two consecutive years. This has only be possible through teaching students that have appreciated the potential of the technology and also through having the support of my school ‘Ladybridge High School’. The designs that have been produced by my students have blown me away and they are proof of how if allowed to experiment with 3dprinting they will embrace it and push their capabilities as far as possible. One of my students has recently design a product and then sent it to shapeways to be professionally 3dprinted as he has an idea to start a business and is prototyping his idea. Amazing when you think he is only 15. Another student has designed products that have featured on myminifactory.com. These success stories from students are what making 3D printing in education all the more rewarding. Can you tell us what one thing would you like to see within the 3D ecosystem over the next 12 months and why? Over the next 12 months I would like to see cheaper and more reliable machines that have increased speed, so that when teachers are 3D printing they know that their prints will always work. (When we print a document from word/excel we don’t sit there thinking hmmm, will the printer actually print the whole document or will it only print half and then the printer nozzle will block or the paper will jam. Over my lifetime of printing thousands of documents from ink jet and laser printers I can only think of a handful of times where the paper has got jammed. If we can replicate this in 3D printing then that would be a major achievement). I would also like to see a ‘direct print’ feature with wireless streaming so that saving files onto SD cards and USBs and then having to insert them into the printer to print become a thing of the past. A nice feature would be for a 3DCAD package aimed at high school students be released so that the transition into 3D Design is easier and not so daunting. The main thing about this is that is it free for schools and students. Finally Phil, If you could invite anyone within the 3D & AM community to lunch, who would it be and why? Hmmm….. There are so many people. I think it would have to be Joshua Harker. At the 2013 3D print show I attended his presentation on 3D printing and was hugely impressed by his history as an artist in the 3D printing world. 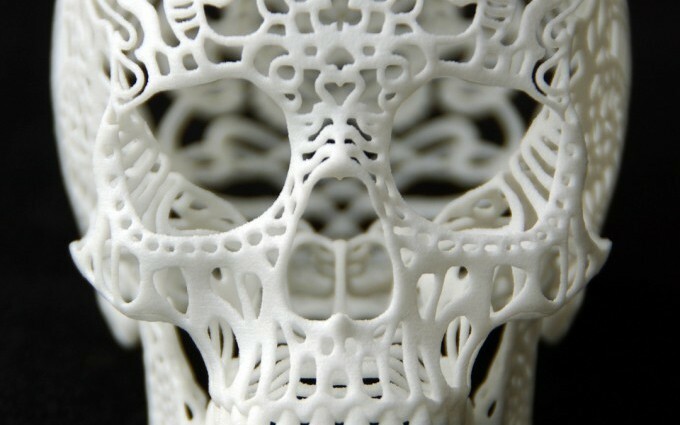 He really has been at the forefront of pushing the boundaries of 3D printing and the calibre of his art work is world class. His ‘Cranis Anatomica Filigre Skull’ and his ‘Quixotic Divinity Headdress’ are like nothing else out there and I feel that his designs are the best in the world. Along with this he has a story and background of accredited as the first person to break the design and manufacturing threshold of 3D printing through his ‘Tangle sculpture series’. Without designers and artists pushing the technology out of its comfort zone I really don’t think we would be where we are now. As well as this he seems just a great down to earth guy with a passion for 3D printing unlike no other. Curious who the thought leaders are in the exploding field of 3D printing? Then look no further than this list. 3D printing is poised for substantial growth: In 2013, sales reached $2.5 billion globally and by 2018, that figure is projected to soar to $16.2 billion worldwide. For this reason, we wanted to create a Geektime list of ten bloggers, influencers and innovators in the 3D printing sector that you should keep your eye on. Follow their Twitter feeds, read their blogs, and listen to their TED talks – you’ll soon find yourself at the white-hot center of all things additive. Wohlers has been tracking the 3D printing industry since 1987 – long before it became known as 3D printing. Hisconsulting firm provides technical, market, and strategic advice on trends in the industry. Each year, he authors a comprehensive report that is a must-read for industry players and costs $495. Wohlers has written over 400 articles and consulted for over 190 organizations, according to his web site. Cornell University engineering professor Hod Lipson has written arguably the best recent book on 3D printing for the layperson: Fabricated: The New World of 3D Printing. He is also editor-in-chief of the quarterly peer-reviewed journal “3D Printing and Additive Manufacturing,” which explores the cutting edge of 3D printing science. Biehler is a Vancouver, British Columbia 3D printing enthusiast with 4,400 followers on Twitter. He co-founded 3D604.org, a club of 3D printing enthusiasts who meet monthly. 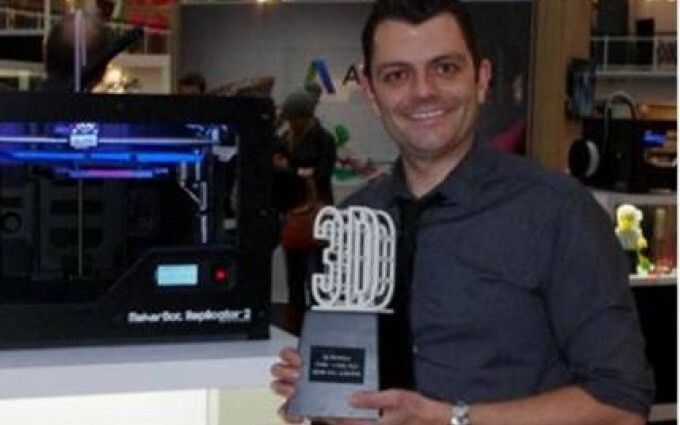 He has spoken at SXSW Interactive and written a how-to book, 3D Printing with AutoDesk. He also curates the 3D printing list at startupdigest.com. He is the co-founder and former CEO of MakerBot Industries, a 3D printer manufacturer now owned by Stratasys. He was also host of Make Magazine’s Weekend Projects podcast, and formerly worked as a schoolteacher and puppeteer. He now runs the Innovation Workshop at Stratasys, where his projects include a movie whose characters are all 3D printed. The movie’s characters will all be made available for 3D printing at home. She is the Editor-in-Chief of 3Dprintingindustry.com. Previously, she spent 12 years as editor of the TCT Magazine, which also focuses on 3D printing. She has close to 10,000 Twitter followers awaiting her every pronouncement on the industry. McCue is a high-tech marketer who is currently taking an 8-month RV road trip across the U.S. to explore 3D printing, scanning, and design. He is also a journalist who has written for the Wall Street Journal, Make, Forbes and Business Insider. You can follow him on Twitter, where he has over 15,000 followers. He is the founder of the 3dfilemarket.com, an online community that downloads and shares 3D printing designs. He also teaches design and technology at a UK high school and was one of the first teachers to bring a 3D printer into the classroom. He won the 3D Printshow Educational Excellence Award in 2013 and 2014. Dougherty is the Founder, President and CEO of Maker Media, Inc., which produces Make Magazine and Maker Faire. Both the magazine and faire have launched a worldwide maker movement that empowers regular people to make things using 3D printers and other technology. This summer, President Obama hosted a maker faire at the White House. His TED Talk on the maker movement got close to 600,000 views. She doesn’t appear to have a Twitter account, nor a public profile picture. The Harvard University materials scientist is too busy developing the next generation of 3D printing, including microscopic electrodes and tissue interwoven with blood vessels. Lewis was also recently named one of Foreign Policy‘s 100 Leading Global Thinkers – not too shabby.